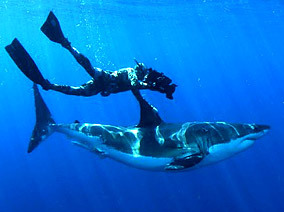 Isn’t it funny how we can interject meaning, deep or otherwise, into something like Shark Week on the Disney Channel? I haven’t heard of this particular designation. I just have to ask, did you think about sharks at all when you went for that swim? No, I didn’t think about sharks while swimming. I thought about being physically strong.